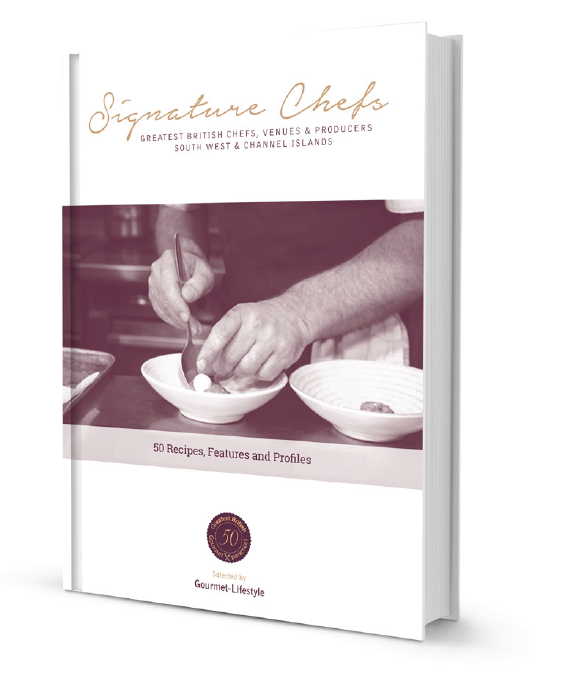 Signature Chefs South West & Channel Islands, published 2016. Totalling 50 individual recipes. Over 10 Michelin Stars. Lifestyle features and guides to the region over 200 illustrated pages. Foreword by Chef Angela Hartnett (MBE) of the LimeWood Hotel Group, with contributions from Two Michelin Star Chefs Michael Wignall (Gidleigh Park) David Everitt Matthias (Le Champignon Sauvage) and Whatley Manor. Others include Mark Hix who was awarded an MBE in the New Year Honours List 2016, Paul Ainsworth, Shaun Rankin and Alex Bluett.